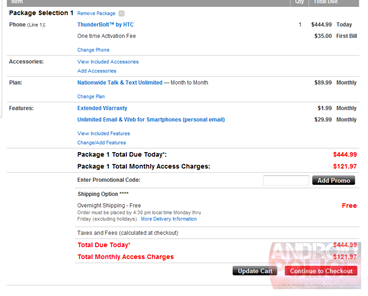 [Update: Back To $599.99 Now] HTC Thunderbolt Now Live At VZW's Site, Shows Off-Contract $444.99 Price. Wait, What? After months of anticipation and weeks of delays, we kind of lost faith and thought this day would never come. 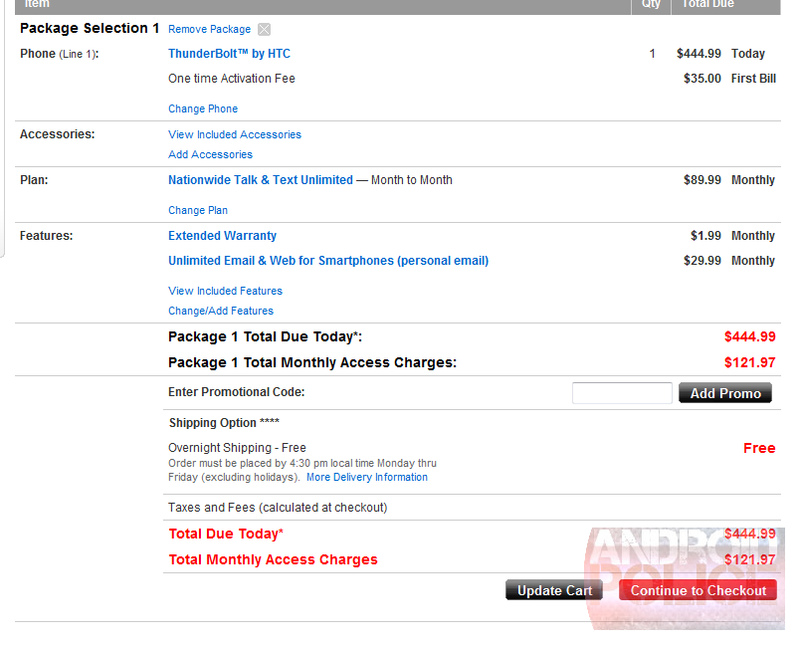 However, the HTC Thunderbolt just went live on VZW's own site, including free overnight shipping, which means you can get your hands on the first LTE phone by the 18th (unless you go to a local store, of course). 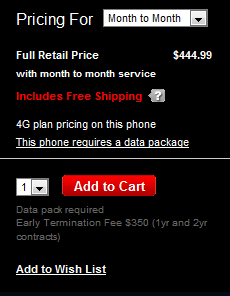 Just as @VerizonWireless tweeted yesterday, the 2-year contract price is $249.99 (which is not nearly as good as the $179.99 Amazon or the $199 Wirefly deals, but much better than the post-20th $299.99 Best Buy rip-off), 1-year is $319.99, but when I saw the month-to-month off-contract price, my eyes almost popped out of their sockets. 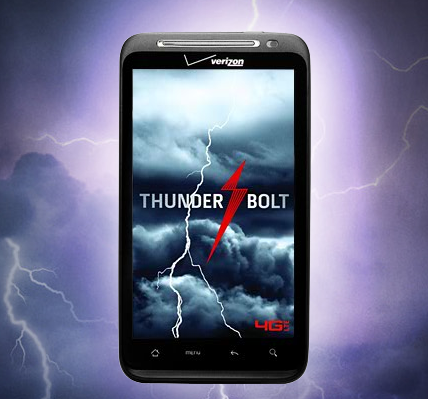 No, it's not $749.99 as originally expected, and it's not even $599.99 as Verizon's own Twitter account tweeted - it's... $444.99. If this is not a price mistake, those of you looking to buy without a long-term commitment may want to jump on it right away. In case it is a mistake, let's hope Verizon ends up honoring the orders that come through, and if it's not... well, then consider me thoroughly impressed. Update: Well, that didn't take long - the price is now $599.99. Has anyone sneaked in at $444.99? The memory snafu is still not fixed by the way.